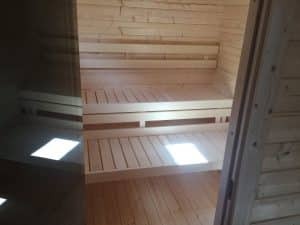 We have installed another Hansa Sauna Lounge cabin for another SPA and sauna fan. 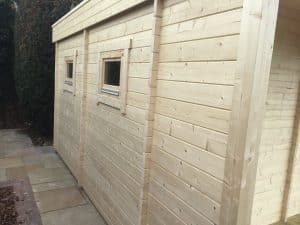 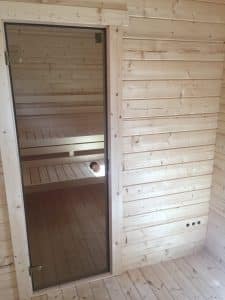 The Hansa Sauna Lounge is a combination of a proper 2x2m Finnish sauna cabin for 3-4 bathers, separate 2x2m shower room, spacious 15m2 garden room and a large veranda for BBQs or placing a hot tub. 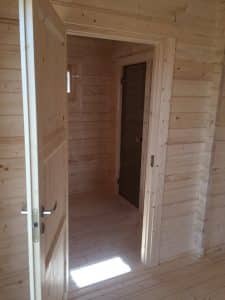 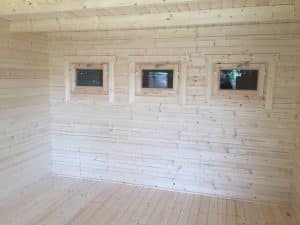 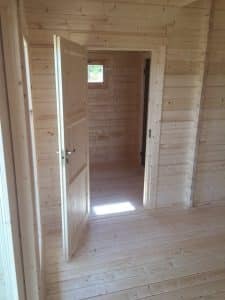 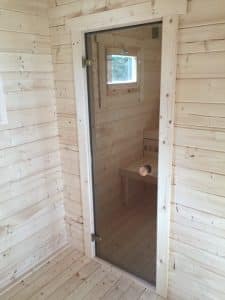 This cabin has full sauna room equipment included in the standard kit as well as double glazed doors and windows. 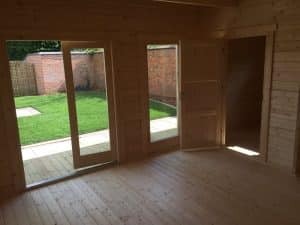 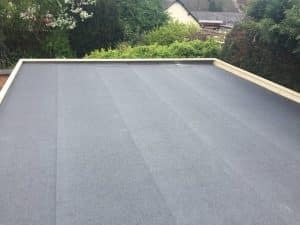 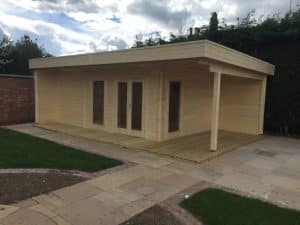 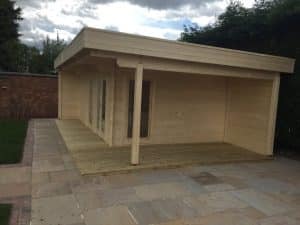 Building this garden SPA and recreational oasis is a 3-4-day DIY project if you have had previous experience or you can book our professional fitters and have it built within two days. 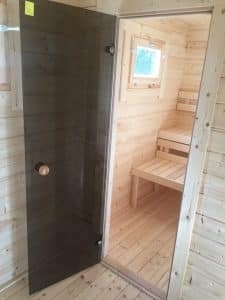 Garden sauna cabins are becoming more and more popular with our UK, German and Austrian customers. 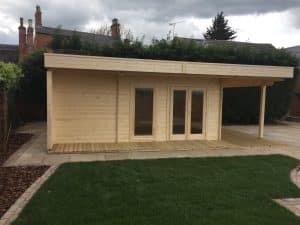 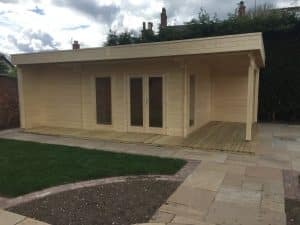 A garden summer house combined with a 2x2m family sized sauna room is slightly more expensive than just a garden room, but having the option to enjoy a sauna after a busy day at work, after sports or spending a relaxing afternoon with your friends and family makes it worth every single penny spent on it! 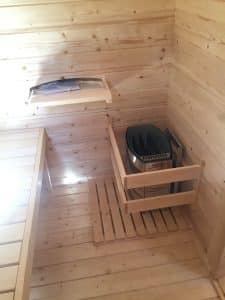 Finnish made “Harvia” heaters make sure that your sauna is heated up and ready within 45 minutes from the heater being switched on.